For his whole life, Romain Gary's fierce, eccentric motherhad only one aim: to make her son a great man. And she did. 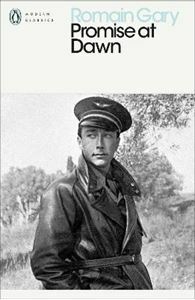 This, his thrilling, wildly romantic autobiography, is the story of his journey from poverty in Eastern Europe to the sensual world of the Cote d'Azur and on to wartime pilot, resistance hero, diplomat, filmmaker, star and one of the most famed French writers of his age.